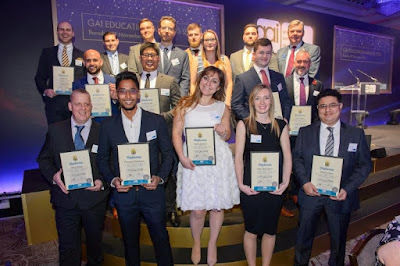 Held at the Royal Lancaster hotel in London on 8 November, the awards celebrate the architectural ironmongery professionals who have achieved a GAI Diploma and recognise the highest achieving students. This year, exams were sat by 355 learners across all three stages of the GAI online training programme. Learners came from 23 different countries, with 51% of them based outside the UK. There has been a particularly high number of learners in the UAE, China, India, Hong Kong and South Africa. 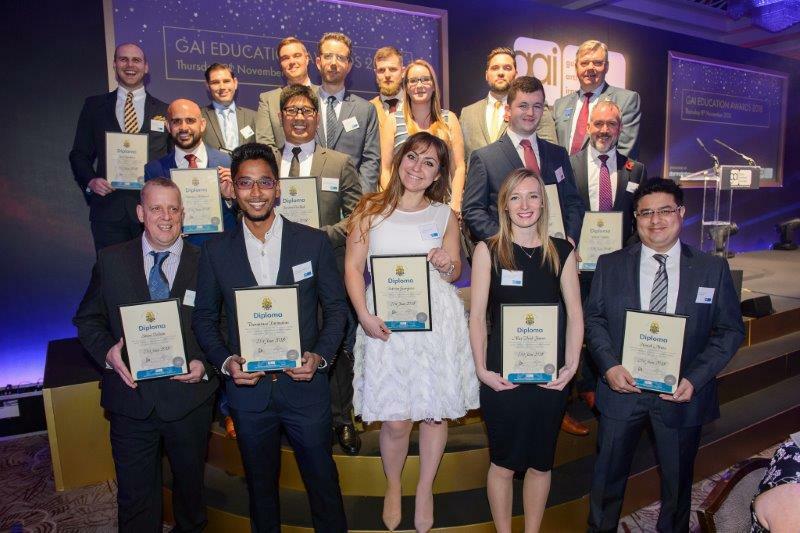 Since 1980, the GAI Education Awards have included Gold, Silver and Bronze medal awards for the top students in the GAI Diploma and prize awards for the top three students in the Certificate in Architectural Hardware. The Pinnacle Award, sponsored by ASSA ABLOY, is also given to the student with the best aggregate results of the Certificate in Architectural Hardware and the Diploma programme. 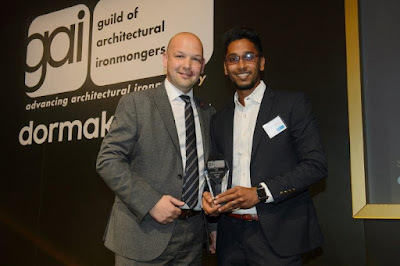 Eryl Jones, managing director of ASSA ABLOY Security Solutions, presented this year’s Pinnacle Award to Thennarasu Parimalam, former architectural sales consultant at dormakaba in Kuwait. “I received the first prize award for the GAI Certificate last year, but working on the Diploma is actually much tougher because there’s so much more to learn about writing specifications. I’m so proud of this achievement now. The winners and newly qualified Diploma holders were presented with their awards by David Stacey, president of the GAI, and the event’s keynote speaker and ex-England international football player, Graeme Le Saux. "It’s a difficult time within the construction industry, in the light of Grenfell, the Hackitt Review and high profile construction failures, and with so many damning criticisms of the professionalism of designers, contractors, product manufacturers and suppliers, installers, inspectors and every part of the construction supply chain, the Guild and Institute members can at least today hold our heads up high and say: No, we’re not like that. We don’t take shortcuts. We are genuinely committed to being the very best we can be." The Certificate in Architectural Hardware is particularly useful for those working in warehouse and trade counter roles, procurement, scheduling and estimating, customer service, technical support, sales and administration. Comprised of two stages with 24 online education modules, the Certificate covers the product knowledge a practising architectural ironmonger is required to know. The modules include helpful explanations, animations and video clips, all geared to engage learners in easily digestible chunks. There are also unlimited self-tests. Following completion of the Certificate in Architectural Hardware, students can progress to the GAI Diploma. The Diploma builds on product knowledge and enables the writing of accurate hardware specifications and quotations. The qualification is particularly suited to those in customer service, contract management, scheduling and estimating, technical and sales. To become a full GAI member, a company must have at least one employee who has passed the GAI Diploma. dormakaba sponsored the GAI Education Awards, and ASSA ABLOY sponsored the Pinnacle Award.